It was a pretty rad morning when I opened my email and read a message from the C.E.O. asking me do a piece on NEEDTOBREATHE. I have admired them for a while. Without hesitation I shot an email back agreeing to cover it. Our schedules would only allow for a quick 25-minute conversation about their newest album, Rivers in the Wasteland, a work that’s blasted the South Carolina trio up the charts. I spent those 25-minutes talking with vocalist and guitarist Bear Rinehart; his down-to-earth attitude (despite the band’s hurricane of success) was refreshing. He made things on my end seem nearly graceful. HM: I noticed on your website it says that your brothers are from Possum Kingdom, South Carolina. Can you tell us what Possum Kingdom is like? Bear Rinehart: It’s in the middle of nowhere, for sure. It’s a town that nobody’s ever heard of. It’s about 150 people, maybe. One country store; we called it and it was named The Country Store. One stop sign. No traffic lights. A really amazing place to grow up. My dad ran a church camp, so we had the run of the place most of the winter. In the summer, a bunch of kids would come in from all over the state for the summer for like a week of camp at a time. We sort of felt like we owned the place when we were there, which was a great place to be. Just kind of wild and a little bit of a redneck upbringing, I guess. It was a lot of fun. I’m from a small town, as well, so I know what you mean. You can basically walk across the town. It’s so small. What things will fans not expect from this album? I don’t know. If you’ve been a fan of our band for a long time, you start to expect every record to be different. I think this record certainly is different. If you just came along on the last record, the big difference between the last record and this one is we really stripped it down a lot. On the last record, on The Reckoning, we intentionally tried to make it a big production. We went in saying we were going to do anything we wanted. We didn’t give ourselves any limits. We put all kinds of horns on songs, big production, extra drum kits and all kind of things. This record was really about stripping it down to just the band and doing live takes. We recorded a lot of this record to tape. We just got a room together and tried to keep it as simple as possible, I think, to reflect where we were as a band. The title, Rivers in the Wasteland, is about what the band was going through at the time. It really felt like we had been whittled down to something, and something was happening in us. Something hopeful was happening in us but it was coming out of nothing. We had been broken down into nothing first. That’s really what happened to the music, I think. It’s getting back to the things that we loved about it, and getting very simple. Is it true that 90 percent of the new album was recorded in live takes? Yeah, I think that was certainly the intention. When I listen back to the record, it has that feeling. We wanted to limit ourselves to that because we felt like a lot of times our songs got better once we got out on the road, I think, because when you’re playing for other people you put this extra pressure on yourself. We better whittle this down to exactly what we want to say and exactly what we want to come across. I think that’s what we were trying to do here. Let’s get all the complicated things out of the way, and let’s just get the emotion across we’re trying to convey. What are the important things we’re trying to say in the music and in the lyrics? Concentrate on those things. I think that’s what it’s starting to feel like. What are some sources of inspiration the band draws from? All over the place. In the past, we would have said anything from our experiences and the things we see, and other music, film… Those kind of things. I think it’s obvious we mostly drew inspiration from our own lives and our own experience (on this record). This is a very biographical kind of record. It takes place over a period of a year’s time. It took about a year to make the record, and I think you can really see that. The record goes in that order, starting at the first track, “Wasteland.” Going through, it feels like the record grows in a hopefulness as it goes. That’s really how our experience was. I don’t think we knew that starting out. That’s the funny thing about going on a journey: You don’t know how it’s going to end, and I think that was the way this was musically for us. We started out in the dark (laughs), and, looking back, it was obvious we were headed somewhere at the beginning. We just weren’t clued into where it was. There was a moment after recording The Reckoning where you guys thought the band was over. What advice could you give other musicians who lose faith in what they’re doing? It may be different for some bands, but I do think … the worst thing you can do is to start worrying about the outcome of what you’re doing. Somehow you’ve flipped priorities to becoming concerned with the success of what you’re doing or to how it affects people, even. We’re given certain talents, and we’re supposed to give them up, I think. We don’t own them. When we started feeling like they were ours is where things started going poorly. You start to concern yourself with, “Oh, how is the audience taking this? Why aren’t they taking it better? Why don’t they enjoy this part? Why don’t we try to get them to like this? Why can’t we be a bigger band in this way?” All those questions. Really, you stop concerning yourself with how much you appreciate the other guys in the band and you appreciate the blessing it is to be able to make music and do the thing that you love, which really is the only thing you really should focus on. Immediately after we started doing that again, the other things just fell into place. You loosen up your grip a little bit, and all of a sudden inspiration comes back. Do you have any personal favorites on the new album? Yeah, I think “Wasteland” is one of my favorite songs on the record. It really paints a good picture of where we were and where we were headed. I really love the image of how it starts the record. It’s a dark place, but also it leaves a little glimmer. It says that, “In this wasteland where I’m living, there is a crack in the door filled with light, and it’s all I need to get by.” I think that’s a good image for what is about to happen on the record, and I love that track. There are a bunch of songs on there I think are going to be great songs to play live. I think about that. “Difference Maker” has only been playing for that last couple of years. I think that really connects with people because that song is almost an argument with itself about what it means to be a difference maker. That was important for us to figure out when we first started writing that song. I’m not sure we knew what it meant. We knew what it wasn’t. It took us until the end of the record to really figure out what it was. What that was, or the answer, was being available. Showing up was what being a difference maker was. It wasn’t having the right answers. It wasn’t acting as if we had picked the right way to go, or for some reason we needed people to listen to us. It was just the fact that we had this thing that was given to us and we were supposed to offer it up. If there’s one thing you want your listeners to take away from the new album what would that be? I think that we’re so appreciative of what we get to do, and that this feels like Day One to us. Rivers in the Wasteland comes from a verse in the Bible, from Jeremiah. That river in the dark place can’t come from us. That huge difference between that desert and that river — that freshness that you feel, those things — really comes from your worst place. The hope that comes out of that is what we want people to see in this record. The turnaround, the example of that, I guess, is what we really want people to feel on this record. You guys spent two years on the road supporting your last album. Are you ready to pick up another two on the road? Yeah, I think we are. We took off for about six weeks. We were going through a huge struggle right before this record. It was getting finished; we were working on it. We really had to look at ourselves and decide if we wanted to keep doing this. A lot of (the writing) was directed to that. Those weeks were hugely refreshing for us. I think we’re all ready to go now. We all can’t wait to get out there and play it. The Rivers in the Wasteland tour begins in a couple of weeks. What should your fans expect from this tour that the band didn’t have on the past tours? It’s going to be a different thing because we’re looking at this in a different way than we had been in the last several years. Our excitement for this tour is at a different level, and our appreciation for each other is probably higher than it has been since we started. We feel like it’s the first day of being in a band together again. It has really felt like that. If you’re coming to see the band and you’ve seen us a bunch of times, I think you’ll feel that freshness. Off the top of your head, can you tell us what has been your favorite show to perform? For us, the dream always was to play at the Rhineland. I think, growing up, that we were country kids, so to play at the Rhineland was something that we thought was beyond us forever. I still think the first time we sold out the Rhineland, probably. Just walking on the stage was enough for us. Even if we had played all the wrong notes and it had been awful, I think that was just enough that that happened. That probably took the cake for us at the time. I felt the same way, I remember, when we sold out our hometown club. We used to play this place called The Handlebar in Greenville, South Carolina. That’s where we used to go see shows when we were kids. The first time that place sold out, we all looked at each other like, “This could happen.” We felt like we had made it. We felt like there was no bigger thing you could do. Those kinds of moments are what keep bands together. That stuff still happens, which is great. It makes you feel like a kid. Every band has things they do on the road to pass time. How do you keep yourself entertained on the road? We compete with each other in almost anything. We make up games to compete with each other. We’re brothers in a band. It can be the dumbest bus games or any kind of sports. It just gets ridiculous. We have to have referees if we’re going to play board games. It’s that bad. That’s us. That’s why we keep ourselves busy. Anything that has a winner, we want to play it. In February, you guys performed “The Heart” on “Conan.” Can you tell us what that was like? It was cool. The first time we played “Conan” was about a year or two ago for Halloween. We all wore dresses because we played a song called “A Girl Named Tennessee” as a joke. It was Halloween so we had to dress up. I don’t know whose idea that was or how that ended up happening. It was an awkward moment. We didn’t know how that was going to go. You tape the show in the middle of the afternoon and then it doesn’t play until that evening, so you’re waiting to get the call from your mom to see if it was funny or if she thought it was horribly embarrassing. This time it was totally chill. It was really good. They remembered us. The makeup people all wanted to take our pictures not wearing wigs. It was a lot of fun. I thought it went really well. Lastly, if fans wanted to help you out in any way, what could they do? To me, tell their friends about our band. We’re involved with an organization called PMI. It’s probably the most important thing we do as a band, I think. It’s Palmetto Medical Initiative, and we do all kinds of stuff (with them). Every ticket you buy to come to a NEEDTOBREATHE concert, a dollar of that ticket goes to PMI. It’s an organization that does medical clinics in Africa and Nicaragua. I’ve been to Africa with them before. If you go to their website (Editor’s note: palmettomedical.org), there are a bunch of ways to get involved. We do golf tournament to help. It means a lot to us, so if fans wanted to help us, that’s a good way to do it. Other than that, tell your friends and family about our band. We’d love to see you out there. 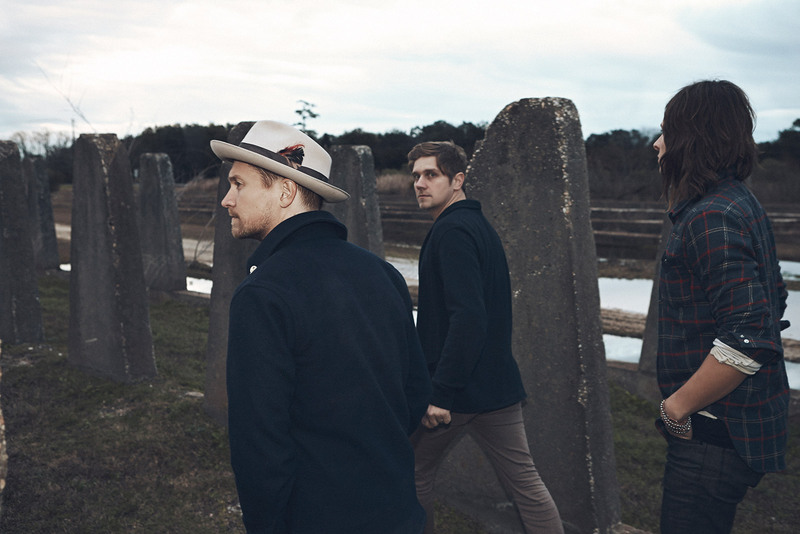 NEEDTOBREATHE was posted on May 8, 2014 for HM Magazine and authored by Chelc Eaves.